A Hun in the hand, finally! 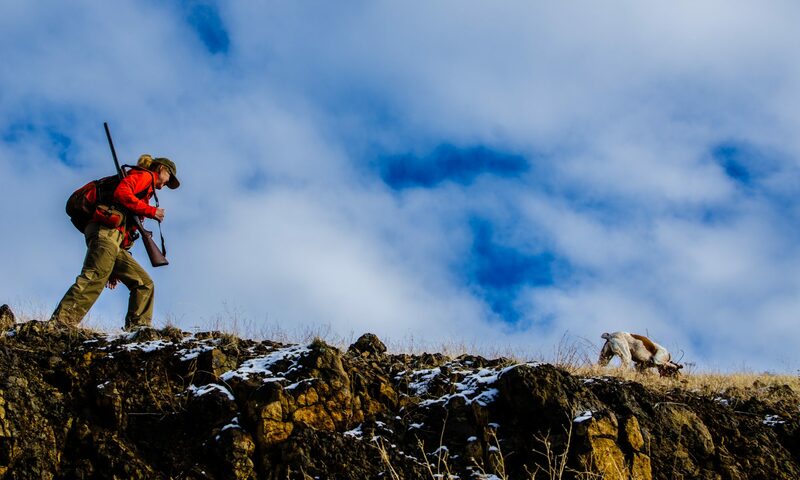 Amazing weather for late October, and we’re back on the hills with our new hunting buddy, searching for the elusive birds. 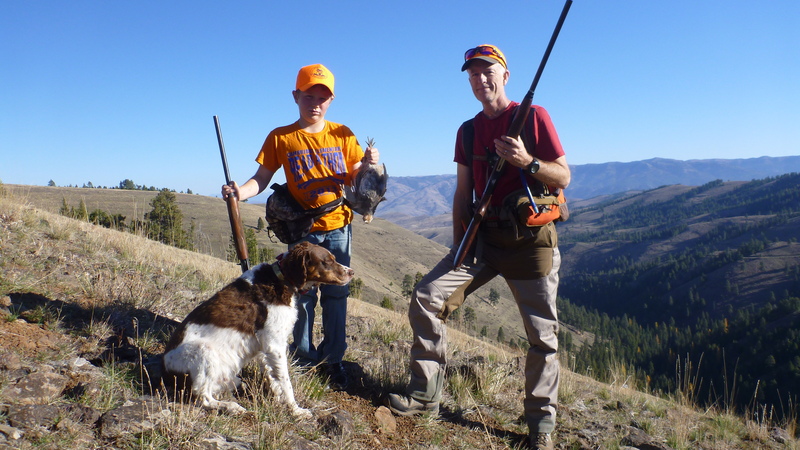 After a short but extremely steep and rocky hike, Angus found us one small covey of Hungarian partridge. I managed a couple shots, but that was it. One bird winged, Angus ran it down, brought it back, released it too soon and it flew, he chased it down again, brought it back again and released it too soon. Angus chased it down once more, and – apparently thinking if he let it go farther from me it would stay put – he dropped it closer to Leslie this third time. The poor bird, still alive, probably realized by now his efforts were more or less pointless. So, still no shooting from the kid, but he’s got impressive strength, endurance, and character, not to mention good company. We’ll get ’em soon. The weather turned today. atta boy, if that kid has stuck with it this long he should be set for life.